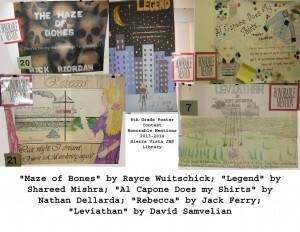 Sierra Vista held its annual book poster contest for 8th graders, and several Santa Clarita librarians were among the judges. Every poster was unique and interesting, and we will be displaying some soon at our Canyon Country Library branch. These are the one’s that won special prizes. Which one would entice you to read the book? 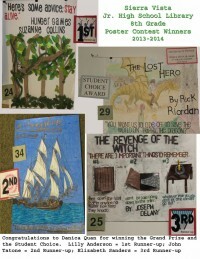 Arts and Literacy Festival Writing Contest Winner is TAB Member!